This article is about the ancient geographic region in modern Turkey. For the region of Central Europe mostly in Poland, see Silesia. 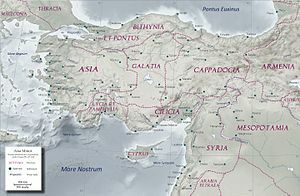 For the ancient principality and kingdom, see Armenian Kingdom of Cilicia. For the Roman province, see Cilicia (Roman province). 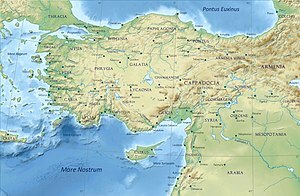 After the division of the Roman Empire, Cilicia became part of the eastern Roman Empire, the Byzantine Empire.